I love List Mailers. I have been using them for years. I would estimate at least one third of my online income for the past 6 years or more has come from using list mailers to send out my solo email ads. I would also estimate that approximately 10,000 of the subscribers on my list came from list mailers. Below I list some of my favorites. This is not a full list of all the list mailers out there. Nor is it a complete list of all that I am a member of. This is my favorites list because these list mailers have proven to get results. Feel free to do some research on your own to find more. It would not surprise me if there were 100 of them. All of these you can join for free and most will give you some type of mailing at regular intervals even with a free account. But paid memberships always allow you to email more recipients more often so keep that in mind. I realize it would cost a pretty penny to upgrade in all of them and I wouldn’t want anyone taking out a second mortgage on their home for this. I have around 15 paid memberships to some very good list mailers and it took me over a year to upgrade in all of them. Even if you are not going to upgrade in all of these it’s a good idea to at least get a free account for now. If, for example, a free account would let you email 500 recipients every 7 days and you are a free member of 15 different list mailers like this, that would mean getting a free solo ad to 7,500 people once a week. Or 30,000 every month. Just make sure you use your mailings whenever they are available. This list is not in order by preference or performance, just so you know. I am only listing my favorite list mailers based on performance and in alphabetical order. Also please note that some of these are credit based, meaning if you click on the credit links in the emails you receive, you can earn more mailing credits. Before I get into the bulk of the list, there are 3 things I want to recommend. These are optional but will save you some time and time is money. I like to automate things as much as possible and trying to login to 15-25 different list mailers every 3 days to post a new solo ad would consume a lot of time. First on the list is ViralinBox. From the creators of Viral URL, ViralinBox will give you a free email account and a list mailer under one roof. The benefit of having a separate email account is that you can use that as your registered email with all the list mailers you join. This way you don’t have all those email ads going to your primary email account. With ViralinBox you can have multiple email addresses and you can select from multiple domains or names. So start with ViralinBox. 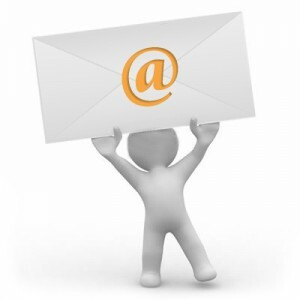 Create your new email account and then use that email address when you register for any other list mailers. Then if you are going to click on credit links to build up mailing credits, login to your ViralinBox account once or twice a day. Next on the list is an awesome tool that I use religiously. Actually there are 2 of them. I encourage you to thoroughly check out each one. Personally, I use both because each one can do things that the other one cannot. Traffic Zipper – This is an automation tool that allows you to enter all the pertinent information for up to 20 different list mailers and then with the click of a button it sends your solo ad out to all the list mailers for you. Imagine the time saved by not having to login, setup your subject line and ad body and submit it 20 different times. Traffic Zipper has some other features as well, such as a tracking system and a hands off scheduled mailing service. The only downside I see is that Traffic Zipper does limit you to the 20 list mailers they support and TZ is not a list mailer itself. Even so, out of the 20 they do support, 15 of them are on my favorites list. Viral Mail Profits – Very similar to Traffic Zipper except that this one supports a lot more list mailers and there are 20 User Definable slots so you can add any list mailer that’s not on their list of supported list mailers. VMP is also their own list mailer with thousands of members. VMP is not quite as automated as Traffic Zipper. You have to create the email ad templates first and then login to each one to submit your ad. But VMP does save all your login information and provides the tracking mechanism for you. The biggest advantage is the virtually unlimited list of list mailers you can use with VMP. The fact that they are their own list mailer too makes it worth joining. Great article Clay, I enjoyed that, thanks. Safelists offer the next and experienced online marketer a way to broadcast to large numbers of targeted people without the drudgery and time of building a list. That’s true, Louis, but with one big difference. With safelist’s the members enter 2 different email addresses. A contact email and a junk email. The junk email is where all the email ads go to so most people never see them. However, getting a Safelist Contact Solo Ad is another story. They are cheap and always go to the confirmed contact email address of all the safelist members.